Colorful sunset clouds and the North Sea behind Whitby Lighthouse and the entrance of Whitby Harbor. 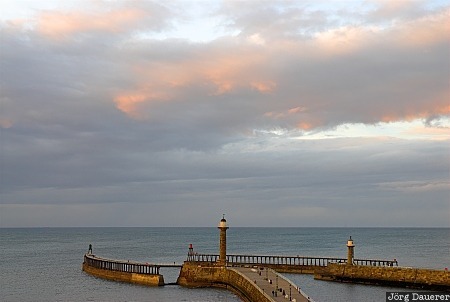 Whitby is at the coast of North Yorkshire, England, United Kingdom. This photo was taken in the evening of a rainy day in September of 2007. This photo is part of the exhibition Lighthouses of Northern Europe (Oct'15). This photo was the image of the month in June of 2017. This photo was taken with a digital camera.